Implementing change for life is a challenging, exciting and highly rewarding process. 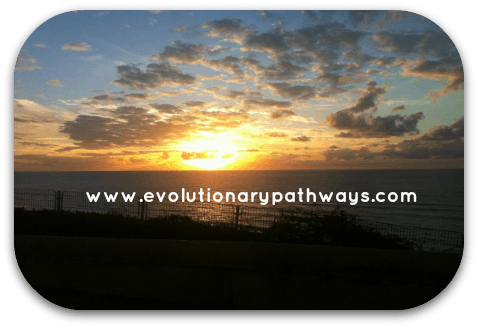 Understanding the dynamics of natural change and personal transformation will pave the way to making changes that will surprise and delight you. We live in a dual existence. Stillness and movement, mind and body, insight and action, internal and external, conscious and subconscious, true inner self and false self – all duality coming together in a dynamic interplay of change expressing the vitality and fullness of life. When we lose this dynamic balance in our life - when we are 'seized' by one side of a duality - we temporarily lose access to the full spectrum of our natural power. We become more reactive vs. proactive in our lives. We may be 'on the go' all of the time, denying ourselves the space to slow down and listen to our inner promptings. We may be stuck on an inner focus and need to move into action in order to find our optimal balance. We may be thinking too much and not living enough or we may be living compulsively, without stopping to consider what we truly want. Whatever extreme we may find ourselves in ... stepping out of the mind to explore the other side brings freshness and vitality back into our lives. Asking ourselves some deep thought provoking questions can be a great catalyst to this process. Change for life recognizes the intricate link that exists between the inner world of our thinking and the outer world of circumstance. Acknowledging and working with this two-way flow of energy yields powerful results. If clarity and inner space is what we want for example, we can start by creating it in the environment we work and live in. After all, how much inner clarity can we really expect when our desk is swamped with paperwork, the sink is full of dishes and our email inbox is bursting at the seams? At the same time clarity comes from within. It comes from an examination of what's important to us - knowing what thoughts inspire us and what we value - and setting our course accordingly. Clarity is fostered from within and without. Change for life is all encompassing. Inner freedom means achieving distance from our habitual thought patterns, so that they no longer own us. When our mind is not free, we are 'locked' in. We are trapped in the "This is just the way I am" or "This is just the way things are" syndrome. This severely limits our horizons. When we are 'trapped', when internal freedom is lacking, we are convinced we know it all. This is a stagnant state that excludes the possibility of real change for life. There is no openness, no room for new ideas or for positive life change and inner growth to take place. The warrior within sleeps. After all, the challenge of change requires space to unfold. If we want to take our life to the next level, we need to adapt to what's happening around us in optimal ways. We need to move beyond our outdated thinking to discover what will work best for us now. The warrior within needs to awaken. To invite positive change into our lives we must first clear space for it in our mind by letting go of what is no longer needed. This moves us beyond wishful thinking and good intentions into a place of creative integrity - where we take full responsibility for the life changes we want. Conscious choice implies the ability to step out of the mind and stand up for ourselves. By conscious discipline and practice we develop the awareness that makes free choice real. Alert and aware we move beyond self-imposed limits into worlds of true possibility. Change for life is applicable beyond the need for personal transformation and positive life change. In a very real sense, implementing positive life changes on a personal level is a microcosm of the possibilities available to humanity as a whole. After all, if we can't step out of the mind to find the solutions to our own private problems how do we expect to find solutions on a larger scale? Do we really expect to find answers within the same level of mind that created our problems? Or do we need to step out of the mind for the solutions we seek? This potentially life changing website is designed to help awaken that warrior within and let the life change begin. This is an intensely personal journey; but of interpersonal - even global - consequence. Find a creative solution to a problem within - and you evolve. Find a creative solution to a problem in your life - and your life evolves. Show me a world full of evolving and transforming individuals, and I will show you an evolving and transforming world.